This map is a representation of how my current life has crossed paths with my family’s history in Juneau. 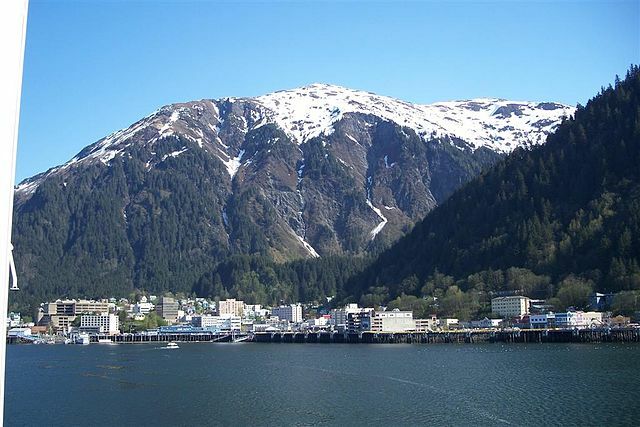 Though I personally am not from Juneau originally I explain my connection to Juneau through my family history and the stories I grew up hearing. I have always naturally gravitated towards Juneau (especially downtown) and have always considered it my home – my heart was born here. I hope you take some time to read my descriptions, I tried to include some historic photos and a couple of links to information about this area. I am looking forward to using Google MyMaps in the future, for personal use and teaching social studies or to share information about our culture and place names and locations to give them relevance to our students. It gave me a chance to talk to my mom about life growing up in Juneau, which inspires me to make this in a future lesson for students to connect with their own family history or speak with elders to unlock more memories and stories of life growing up in downtown Juneau for our Alaska Native families and how that connects with history and their current lives. I really appreciate you sharing your experiences living in Juneau. I spoke about how MyMaps is a fascinating tool because even though multiple people may have experienced the same area in their lives, each map shows the uniqueness of each lived experience. I feel although we both chose to share about our experiences in Juneau, yours really shone light on your life here and your stories, allowing the audience (me) to learn of your stories. I think in the future, I should include more references to how certain places in Juneau impacted my life, and not necessarily format it like a yelp review haha. I love how individual and personal this map of Juneau is – it really gets at what Juneau means to people who live here. Chris, you make a good point in your comment – I totally wrote a Yelp review for my assignment, and reading this made me wish I had personalized it more. This map also happens to be relevant to me particularly, because I have a lot of family here, and my cousins are in elementary school. I think my little cousin Marigold must be in the immersion program at Harborview, unless there’s another Tlingit immersion program I don’t know about. Your stories are very touching. The story you shared about local Alaska Native families who were relocated and promised housing which they never received is heartbreaking. Something similar happened in Whitehorse where I went to high school. A community of First Nations by the Yukon River were relocated and the area where affordable housing was promised was transformed into a park, mostly for tourists.